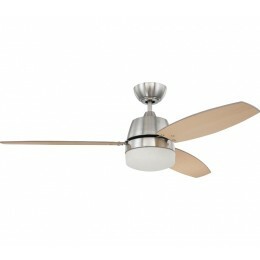 A ceiling fan for the modern age, the Beltre offers an intriguing combination of minimalist design and maximum utility. The sleek profile encompasses an integrated light fixture, its frosted opal glass in perfect balance with the Brushed Polished Nickel surface of the fan body. 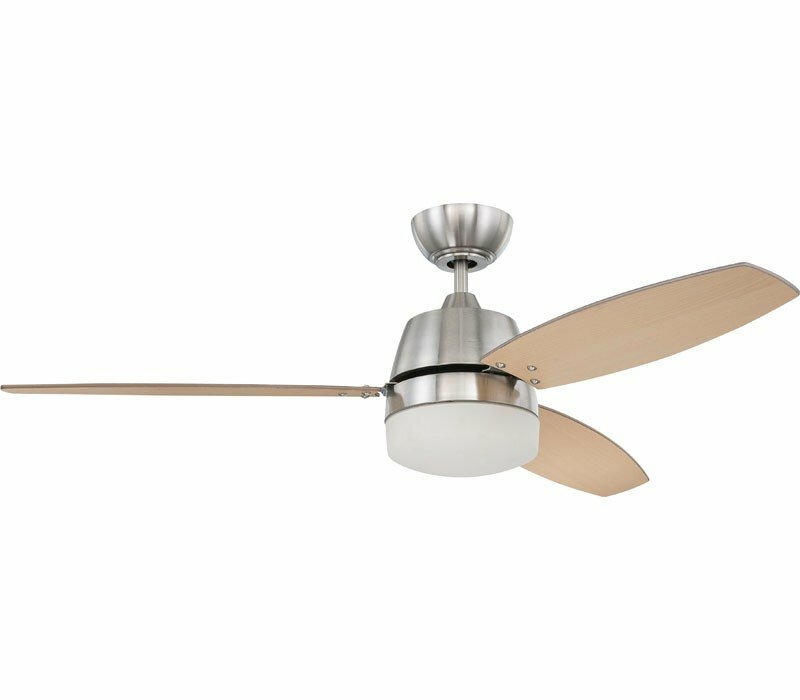 The trio of fan blades are reversible, providing a choice of maple or silver painted finish to suit both room decor and personal style.